I’ve often heard it said that EVE Online is more fun to read about than to actually play, and for the vast majority of gamers I’m sure that statement would hold true. Some truly incredible stories of theft and politics have come out of EVE over the years, but most players will never get to be an integral part of events such as those. For every player who pulls off a massive scam or accidentally kick-starts a battle that makes its way into the record books, there are thousands just going about the everyday business of manufacturing, mining, and smashing spaceships together for fun and profit. The huge stories that hit the news are often months or years in the making, and represent EVE‘s highlight reel rather than its everyday reality. Nevertheless, the possibility of becoming part of one of those emergent stories is a huge part of the reason people sign up to the game. When EVE launched back in 2003, a lot of players were hooked by the potential of a massive sandbox universe that was largely under player control. With barely any content to speak of and only a handful of ships and modules, EVE quickly became a game where motivated players could make a name for themselves. Corporations became known for particular strategies, pirates gained infamy, and certain star systems specialised into manufacturing centres, marketplaces, or pirate hotspots to be avoided. This was all completely emergent gameplay, unscripted and often unexpected by the game’s developers, and it’s what made EVE special. The past few years have introduced a ton of content and improved gameplay, but I’m beginning to think that it’s come at the cost of the game’s core emergent gameplay. In this edition of EVE Evolved, I look at why emergence is such a big deal in EVE and ask whether the game has actually become less supportive of emergent gameplay over the years. In its early years, EVE was practically a social experiment to see what happens when you put thousands of players in a box with limited resources and very few rules. The only explicitly designed content came in the form of NPCs to kill in asteroid belts and a handful of agent missions to run over and over again, which wasn’t particularly compelling. The Exodus expansion in 2005 introduced four COSMOS constellations full of once-only storyline missions that acted as quests would in other MMOs, but they didn’t prove particularly popular. The approach that worked well for developing EVE was simply to give us new sandbox tools that we could use to pursue our own goals and agendas. We got industrial challenges in the form of starbases and outposts to colonise space with, alliances and contracts to let us work together on larger scales, and new ships to kill each other with. I think the secret of emergent gameplay is that all you really need is a few hundred players on a blank canvas for something unexpected to happen. It’s a trait the recent flood of survival sandbox games has expertly learned to capitalise on, dropping players into largely empty online worlds and then watching as they smash each others heads open in ever more creative ways. The question is whether filling in that blank canvas could actually stifle the emergent nature of a game. I’ve played plenty of games that beat EVE hands down on PvE content design and provide more enjoyable action-oriented PvP, but none of them have been even a fraction as memorable. Most online games are explicitly designed to be played a certain way, making them so similar in every session that it’s difficult for any particular PvP match or boss kill to stand out as special. Though I now play EVE largely solo, it’s the sharing of stories that has always made the game special in my eyes. When I get together with my ex-corpmates in real life, we often recount stories from our time together in New Eden. We laugh about the time we managed to get through a pirate gatecamp by ejecting an industrial full of shuttles everywhere to fill up the pirates’ overviews (a tactic we still refer to as “the ToG manoeuvre”). We remember the time Ginger Magician tried to camp the station in Thelan with a Moros and we formed a chain of bumping battleships and remote repair ships to get him out of dock range within the 60 second weapons timer; It was more like watching a ballet than a battle. We talk about the good old days of the Interstellar Starbase Syndicate, the time we sold a wormhole system for 10 billion ISK, and some of the amazing fleet fights we had in faction warfare. The thing all these stories have in common is that they’re of something awesome happening that makes you glad you were playing the game at that time, and they stay with you years after the event. They all add up to create a sense that if you stop playing the game then you could miss out on something extraordinary, and that’s a pretty strong barrier to exit. CCP caught on to this idea in 2011’s “I Was There” trailer, which a lot of players cringed at but practically everyone identified with. 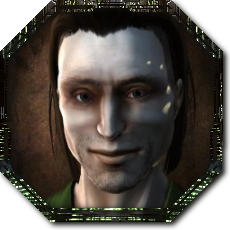 Anyone who’s been playing EVE for long enough will have accumulated dozens of his own untold war stories, tales of political upheaval within now-defunct alliances, and memories of unique events. The potential to become embroiled in one of those emergent stories and become a part of historical events in progress is what makes EVE what it is and drives many of us to log in. The questions we have to ask are whether EVE‘s current development direction is actually limiting these kinds of events, and whether that’s necessarily a bad thing. While EVE‘s early development was all about giving players new tools and seeing what we did with them, the past few years have shown that the devs have an explicit vision in mind for how they’d like the game to be played. The upcoming fleet warp nerf is designed to constrain fleet gameplay to fit with that vision, as is the new sovereignty system. Both are designed with a limited number of viable ways to play in mind, which will reduce the number of useful fleet compositions and strategies. 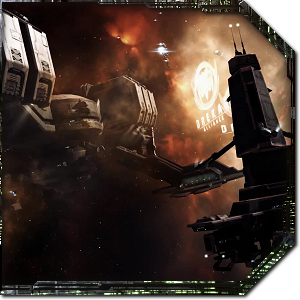 Any fleet with large enough numbers can hold the field long enough to capture a structure with the Entosis link, for example, but you’ll need a highly mobile subcapital fleet to tackle the control points that appear throughout the constellation and snipers to take out enemy Entosis ships. The day to day fleet combat and sovereignty warfare in EVE may actually be better and a lot more fun with those changes in. We can see something similar with some of the shattered wormhole systems that only let small ships in, which were designed to provide a particular limited type of gameplay for frigates and tech 3 destroyer pilots. Faction Warfare’s capture point system was explicitly designed to promote small ship use and consentual PvP at the expense of other strategies. 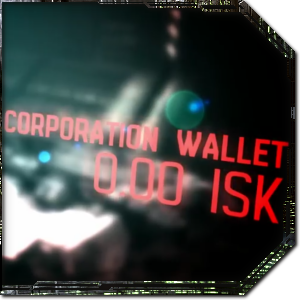 The intra-corp PvP switch was a boon for recruiting while severely limiting infiltration as a gameplay style, and the upcoming corp role and structure revamp will likely curtail theft. These are all examples of particular areas of the game or types of gameplay being streamlined, improving them for preferred use cases while limiting them for others. The day-to-day gameplay of EVE has improved in leaps and bounds over the past few years, and it’s probably because CCP has a coherent vision in mind when designing gameplay. Unfortunately, this has the side effect of limiting the scope for emergent behaviour, making unexpected outcomes rarer and less extreme. Streamlining gameplay may make the game more fun to play, but I think it erodes the sandbox design philosophy that made EVE such a unique game in the first place. Perhaps it’s inevitable that a sandbox will lose some of its capacity for emergence as the game matures and more mechanics are codified and streamlined. Maybe having a blank canvas spurred players to fill in the gaps as best they could, and developers filling in those blanks feels like it deprives us of something. Or perhaps I’m just getting nostalgic for the good old days when EVE was a newly opened book and a small smattering of players were writing the first chapter in each other’s blood. Boardwalker Vikingr i thought i’d read some things that suggested they would be trying to merge Valkyrie (or something like it) with Eve in the long run somehow. i remember questioning how this would be done with sharing the same space-space. and Eve’s time dilation feature. Dust 513 was easy enough, since they never had ground exploration before, and they could keep it largely segregated from the rest of the Eve universe. dorn2 Specus People have been telling me that for ages. I keep looking for them spreadsheets each time I undock from a station, but I just can’t find them anywhere. Maybe they left for WoW or something. As I said, a good game for me has nothing to do with the numbers. I’ve played EVE for six years and it has never been a numbers game for me. You’ll have your theorycrafters in almost any game, but I’ll never be one of them. Just because you hate any game that does not involve a spreadsheet doesn’t mean that the whole world does. Loosen up a little. Try playing a game because it is fun, not because of the numbers. You must sure as hell hate EvE then. They don’t call it Spread Sheets online for nothing. kgptzac Nyphur CistaCista I actually agree, I think the game will be far better off with the new corp role and structure permissions revamp, and I was a big supporter of the intra-corp PvP switch. It’s brilliant for the game, but we can’t deny that it also limits opportunities for emergent gameplay by closing down certain ways to steal and deal damage through infiltration. That’s a tradeoff the developers have chosen to make and it’s probably a good one, but it’s important to recognise that it’s a very real tradeoff. Nyphur CistaCista I’m pretty sure having an ideal and perfect corp management mechanism is not worse, but actually much better reality to most of the players, since they aren’t playing the game as corp infiltrators. I also think those who are truly into infiltration will see it as a welcoming challenge as it separates the skillful (who do social engineering) and the unskillful (exploit imperfect mechanisms of the game). Nyphur Tendrin I just want to add that I have a saying I often use when discussing this story with roleplayers, who often encounter the same sort of thing with players in various games. Nyphur Tendrin This is very true. Players will seek the safest, most boring way to win that they can manage where they have to do the least. You can see this same effect in other game modes. For example, dungeon runs. In Guild Wars 2, you see players looking to only run dungeons in the most ‘efficient way’, skipping as many monsters and as much content as possible to ‘finish quickly’ because they’ve either done it so many times before, or because they just want to get to the cheese instead of enjoying the maze. And then they shout, “But dungeon are so booorriiiiing!’. Here’s the thing: they are at least partially responsible for sucking the fun out of the game. This is even MORE true when you get into politics. I think what would be a really nice article would be a coming back to Eve guide. I have picked up the game again because some friend of mine are picking up the game for the first time, and I though it would be a good time to revisit the game. It would be nice to have some guides on big changes. dorn2 A good game for you is all about the numbers. A good game for me has nothing to do with numbers.